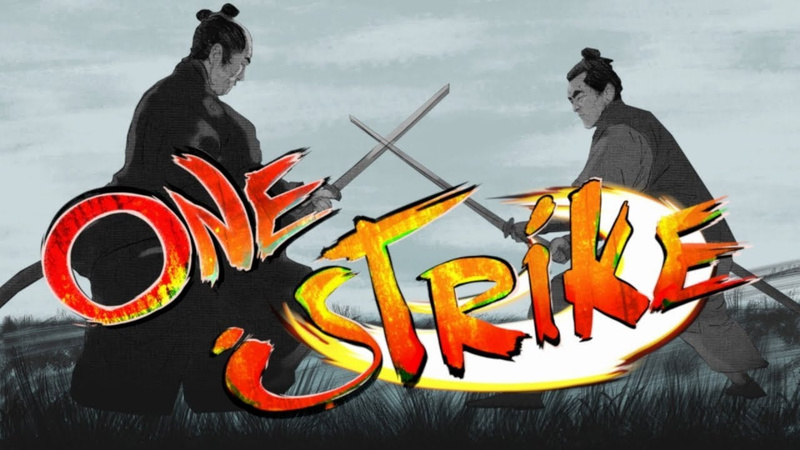 In what is quite an unusual turn of events, Switch fighter One Strike has been removed from the eShop in Japan (with a worldwide takedown set to follow) due to a copyright infringement. Currently, heading to the game's Japanese store page simply shows an error, stating that “this software is currently not available", (thanks, Japanese Nintendo). As it happens, the game's removal has actually been issued by its publisher QubicGames' request after the studio became aware of a music copyright issue. QubicGames has since said that “the developer of the game [Retro Reactor] paid a composer for the music. Both the developer and we, the publisher, were convinced that this track is an original work”. It appears that this particular composer - who has not been named - has plagiarised the work of the Famicom game Mouryou Senki MADARA. We've included links to both pieces of music for you down below; as you can see, to describe the act as 'plagiarism' would actually be putting it lightly - it sounds like it was literally uploaded from the original's soundtrack. QubicGames has gone on to say that that it is “preparing and releasing a new version of the game with another track as soon as possible”. Hopefully, the game won't be missing from the eShop for too long before it's back with a fresh, and authentic, track in place of the offender. As ever, feel free to share your thoughts with us on this one in the comment section below. Glad to hear that it doesn't seem like the developer or publisher was directly involved though. Hope it doesn't hurt the game or reputation too much. Looks like Retro Reactor will be looking for an 8-bit chiptune composer shortly! I've been told the difference in music between versions of Super Meat Boy and Binding of Isaac is due to copyright. Hopefully they are allowed to sell it again once the offending bits are replaced. I wonder how did the composer thought he would get away with this. The music in that game was kind of a big deal at the time, and someone at Konami was bound to find out. Game is already unavailable on the European eShop. Down in one strike! What a weird coincidence. I was just looking at this game on the eShop last night and seriously considering a purchase. And now it’s gone. Shame, too, because it was on sale for pretty deep discount. This is a great drinking game for those of us who like to drink frequently and aggressively. The "store page" link is a tumblr-redirect. How can this happen? Don't you check the links before you post them? I refused to click that link. The Dungeon/Dragon game that was released alongside Game Dev Story and Hot Spring Story has also been removed for undisclosed reasons. American eShop still has it and it's on sale for $1.99. I guess that'll be in effect until takedown? Guess I'll grab it. Can I manually block updates, so I keep the score? It's a pretty rad game actually, super fun to jump into for a few rounds and alot more strategic than it looks. @DockEllisD You seem like a dude I'd get along with lol. This game is fun. I’m glad I got it for the fifty cents it cost if you had robonauts. I haven't played Madara enough to remember and recognize its music back when I grabbed the game on sale, but it's indeed a shame, and I'm glad to see the developer taking action ASAP once made aware. As for the composer, he better learn the lesson and hence resist whatever drove him to do such a thing. I'd much rather hear the fruit of their own talent, although I sadly suspect that won't happen in this game anymore. The person's reputation is likely to take a hit in the industry, and for a reason. That's incredibly blatant. But the game is very fun and I hope they get this sorted out quickly. What do you mean the composer hasn't been named? Was the composer not in the credits? Because in non-plagiarism cases, that's bad. Good God,... By the looks of it - Never should been on the eShop in the first place. Wouldn't it be strange if the composer composed it never knowing the other tune existed and this is all one big odd coincidence? Anythings possible afterall. Not even my favorite tune from Madara either. Don't suppose anybody knows why Ninja Commando has been off the eShop for a while now (in the UK at least)? @SmaggTheSmug The reason behind newer versions of Super Meat Boy and Binding of Isaac having different soundtracks is much bigger than just that. Yeah, it’s a copyright dispute, but for reasons unknown, Danny Baranowsky said that he doesn’t want Ed to use his soundtracks in any future works. I think the two of them had a falling out/disagreement on something, which is pretty sad because DannyB makes some great music and they were a good pair. @roadrunner343 You can plagarize something while still including pieces of original content. This case is just flat out stealing. @BulbasaurusRex In which case, you would be plagiarizing while also including original content. In this case, it is just flat out plagiarizing. Which is exactly what the term means. I got this game on sale for about a dollar. It's not bad for a dollar. @roadrunner343 No, the term means to at the very least partially copy and take credit for it. Copying entirely goes beyond the minimum definition of what the term means. @BulbasaurusRex That is entirely incorrect and is an extra definition you just made up. There is no minimum or maximum definition for the term. The fact that you even have to quantify full vs partial plagiarism shows that the base term is exactly the same. Plagiarism simply refers to taking one's work and passing it off as your own. Pretty much any dictionary will show you that. If you feel the need to quantify the amount, feel free - but that does not change the meaning of the base term. My original post was simply a lighthearted attempt to poke fun at that fact. I also believe we devalue the term plagiarism by not calling it plagiarism when we see it. It's a serious offense, regardless of the amount. There's no need for a new term based on the amount of plagiarism. If I walk into a convenience store and steal 2 items and buy 3, is that somehow a lesser offense than if I had just stolen the 2, because I stole my full order instead of partially? Of course not. We can add more details, like full vs partial theft, if you think it makes the story more clear, but that in no way changes the original term's definition. 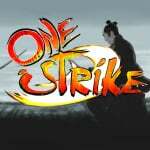 Never mind the fact that the game plagiarized stages from Samurai Shodown III and IV (the one with the big trees and the lamps) and a stage from The Last Blade (Amane's stage on the red bridge), the composer they have took a track from some obscure Famicom game in hopes that no one would find out. This isn't just one guy spoiling the party for everybody, -the whole team- must've been aware for a loooong time that they were just making a mishmash of relatively obscure stuff and dumped them in an unfortunately fun game.